ACE ALL-BOND SE is a self-etching (6th-generation, Type II) bonding agent that combines etching, priming and bonding in a dual-chamber cartridge dispensing system. ALL-BOND SE is a light-cured, ethanol/water-based, self-etching, adhesive containing acidic monomers that can be used with both self- and dual-cured materials as well as indirect restorations without the need for additional activators. The ALL-BOND SE Liner is an optional radiopaque, filled resin liner intended for use with ALL-BOND SE and is included in the System Kit. Uni-Etch is also provided for etching uncut enamel.The ACE dispenser is designed to distribute the correct ratio of material into a well for mixing. Once mixed the adhesive takes on a pink color which indicates a proper mix. The ACE dispenser is made of a durable plastic with a clear bottom that allows visibility of the ALL-BOND SE cartridge. The System Kit contains one ACE dispenser; two, 2-ml cartridges of ALL-BOND SE; one, 4 ml bottle of ALL-BOND SE Liner; one, 5 g syringe of Uni-Etch with BAC; 50 brush applicators; 25 microbrush applicators; Manufacturer’s Instructions/MSDS; and a quick reference card. 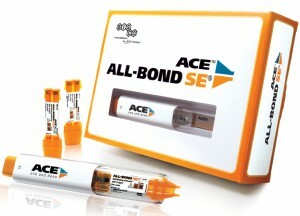 ACE ALL-BOND SE is also available in a Starter Kit and 4 Cartridge Refill Package. 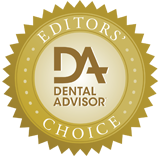 ACE ALL-BOND SE was evaluated by 25 clinical consultants in bonding 665 restorations. This bonding agent received a 98% clinical rating. The ACE dispensing system was easy to activate and convenient for dispensing the bonding agent components. The ability to produce uniform drops was noted by dental assistants, and the color-changing feature created confidence of a properly mixed product. Consultants liked that the bonding agent could be used with self- and dual-cured resins without the need for a separate dual-cure activator. The adhesive coated the tooth surfaces well without pooling. No postoperative sensitivity was reported. Eighty percent of the consultants reported that ACE ALL-BOND SE was better than their current bonding agent. Sixty-four percent of consultants would switch and 76% would recommend ACE ALL-BOND SE to their colleagues. Be careful when inserting the cartridge to make sure it is engaged in the dispenser. Scrub the bonding agent on the tooth with a microbrush and then air dry well. Bonding agent is compatible with self- and dual-cured resins without use of a dual-cure activator. Refrigeration is recommended only for long-term storage.